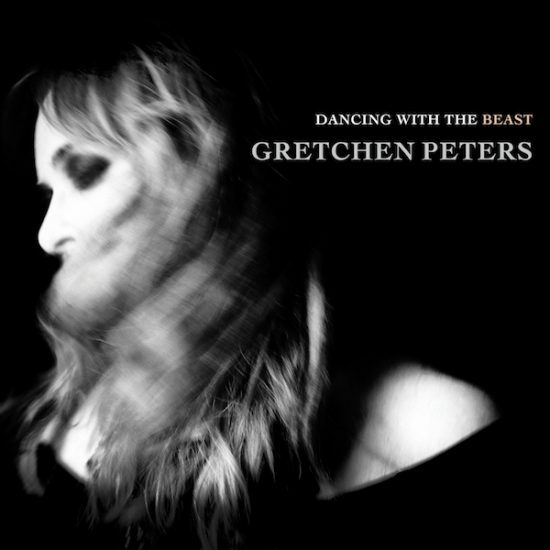 It’s hard to say where exactly the phrase “sad songs make me happy” originated from, but it’s safe to say Gretchen Peters has literally made it her motto when it comes to her music. The digital age has allowed many songwriters to step into the spotlight (as evidenced by Natalie Hemby, Lori McKenna, and so many others), and through her own music, Peters has been singing some about some of the most somber themes out there for the past twenty years. For many, that may sound like a turn-off, but it’s those same sad songs that speak to the real subjects in life, and on her new album, Dancing With The Beast, Peters certainly has a lot to say. Before, we were left to wonder just how her characters would connect to one another on this album, and now that the full album is here, the answer is obvious. The characters on Dancing With The Beast are outcasts who don’t fit in with the modern world. “Arguing With Ghosts” is a potent reflection on how time governs us, making us wonder just when the inevitable changes we faced in life actually occurred. When considering the singles from this album however, “Disappearing Act” seems to be a rare direct moment, challenging the notion of how unfair life can be to give us loved ones and then easily take them away. It’s hard not to see this track as a continuation of the previous song, “The Boy From Rye,” a piano ballad that showcases Peters’ bread and butter style. Perhaps it’s just the state of the world right now, but this album captures Peters in a different light vocally. These are sad songs, but these are also angry songs at points, challenging the narrators just as much as they challenge the listeners. “Menacing” is a proper adjective to describe the tones of many songs here, including the dobro-led “Wichita” which shows the lengths one would go to protect family. 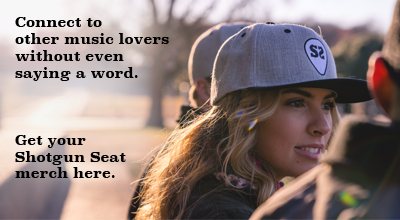 Despite the darker tones, the songs are never without deeper meanings. In the case of “Wichita,” a self-described “dumb” woman shows that it’s what’s in our hearts that matters more than what’s in our heads. If anything, it’s a good metaphor for life itself and how it’s never about us – it’s about doing what we can to help each other lead the life we all deserve. The second half of this album offers hope though. Given that this is a Peters song, the title track could be deceiving if one were to only look at the title. Instead, the brighter tune is used to show how those dark moments can lead to us finding our strength. It’s almost as if this song is the resolution to “Disappearing Act” from earlier. One of the standouts on this album, “Say Grace” is something for everyone. This album may focus on very specific characters, but the sentiment of feeling hopeless or lost is a highly relatable one. At our lowest, there’s at least room for redemption and acceptance, because that’s how the love truly begins to form. That’s how the hatred and the differences dissolve into nothing. The only way we can fail is if we give up, and the only person who can stop us from making a difference is us. The song captures this sentiment so well, and it just may be one of Peters’ finest tunes ever. It’s also easy to view “Love That Makes A Cup Of Tea” as something similar to what Jason Isbell did with “Something To Love” off of last year’s The Nashville Sound. Much like “Say Grace,” the main theme here is love, more specifically how love can form even in the tiniest of actions. It doesn’t take much to make a difference to somebody, and in an overwhelming time, it’s important to keep that in mind. Dancing With The Beast is an incredibly complex, rich album that offers up hope by reminding us of who we can be at our lowest. The resulting project is one of her best. Find album and tour information here.